Peer through the clouds and rain this week during the Tour of Switzerland and you’ll spot some of the finest roads to ride in Europe. What they lack in celebrity status granted by the Tour de France and Giro d’Italia they make up for with the views and the smooth surfaces. Is Switzerland cycling’s best kept secret? Today’s Queen Stage of the Tour de Suisse arrives in Sölden… in Austria which might send the message that the hardest climbs are to be found outside this mountainous country but in fact there’s plenty of climbing and a rich history of cycling. It’s home to the UCI of course, the governing body was founded in France in 1900 and moved to Switzerland in 1969. 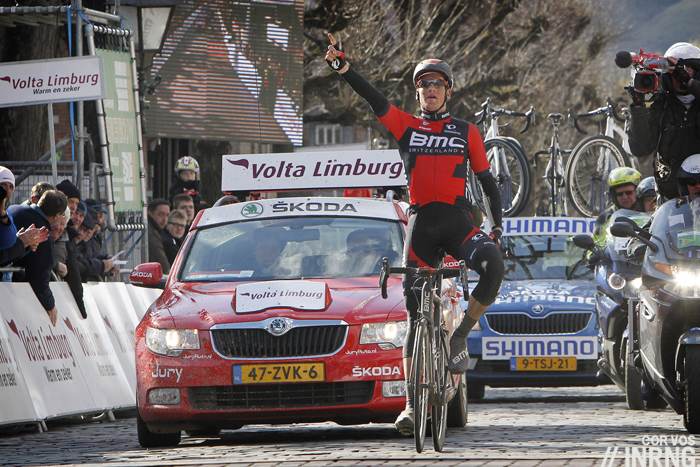 It’s got several pro teams with IAM Cycling team as well as women’s team Cervélo-Bigla and Pro Conti team Roth. The BMC Racing team rides under and American flag but trades under the Swiss label of their sponsor and owner Andy Rihs and the Katusha and Lampre-Merida are quietly registered in Switzerland too. Among the manufacturers and sponsors Scott Sports, supplier of bikes to Orica-Greenedge and IAM Cycling is based there and so is Garmin too, at least for tax reasons, and there are more obvious Swiss firms like DT while Assos is going the other way after a buy-out by US investors. The country has churned out pros from Ferdi Kübler and Hugo Koblet to Fabian Cancellara and Pascal Richard, the first professional Olympic road race winner, as well as curiosities like cyclo-cross specialist and Alpe d’Huez stage winner Beat Breu and the reclusive but highly successful team manager and coach Paul Köchli. Many of the best mountain bikers are Swiss right now and back on the road Vincenzo Nibali and Alberto Contador live in Switzerland too. If you want pro racing there’s the Tour de Romandie and the Tour de Suisse which is on at the moment. So far so good but there’s been an air of decline about Swiss cycling, races vanishing from the calendar. IAM Cycling look set to stop and BMC owner Andy Rihs can’t continue for ever, he’s already talked of stopping sponsorship. Fabian Cancellara is going to retire and there’s nobody ready to fill his big shoes yet; normal given the French wait for a successor to Bernard Hinault and the “new Tom Boonen” label has been slapped on several Belgians only to wash away in an April shower. Still Stefan Küng (pictured) and Tom Bohli look promising and it’s only a matter of time until they’re battling Filippo Ganna, Hamish Schreurs and Rémi Cavagna in a future Paris-Roubaix. So far, so much pro cycling. What really works best is going for a ride to see the country for yourself. The country has a big network of cycle paths and signposted routes for cyclists that use roads that’s well done even the most errant rider doesn’t need a GPS. The rail network is handy for cyclists as trains take bikes. The country is clean too, the streets have as little litter as Japan and villages have fountains gurgling with water to fill your bottles. Best of all is something superficial but crucial for the cyclist: the billiard-table smooth road surfaces. Of course there are potholes in places but there’s none of the melting tar found in France nor the cracked roads of Italy, just kilometre after kilometre of fantastic tarmac. There are officially 16 paved passes over 2,000 meters in Switzerland which means plenty of climbing and thanks to the smooth roads some good descending. It’s not all mountains, if you want a recovery ride or just the chance to churn a big gear at speed then there are the plains, valleys and many scenic glacial lakes to lap as well. So far so good but the downside can be the price and this must be a factor which explains why it’s not such a draw. A coffee can be 3-4 Francs (€/$ 3-4), ie three to four times as much in Italy and the same goes for other food and snacks. It’s said the tourist sector knows it has to compete in spite of the strong currency so the cost of accommodation isn’t so bad, especially as a lot of winter ski resorts can’t be so picky about summer guests. When asked why he had to climb Mount Everest George Mallory famously replied “because it’s there“. Are many cyclists drawn to the likes of Alpe d’Huez and Mont Ventoux because they are there, or is it more because they know they are there. Has fame from the Tour de France made these roads a draw ahead of other climbs? Many Swiss roads are a match for anything in France or Italy in terms of their challenge and scenery but don’t draw the crowds in the same way. Switzerland’s pricey currency is one factor but can’t alone explain why the country’s roads are rarely explored. Heading there for a week in late September. Thanks for the fantastic article!!! 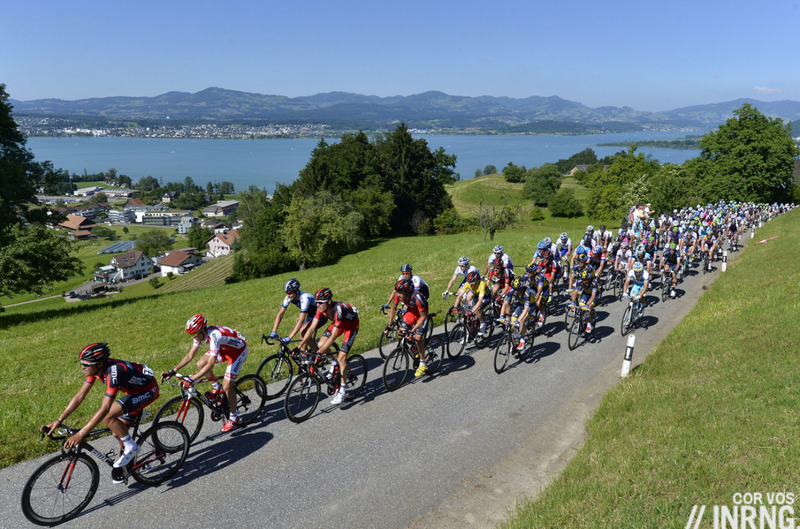 Just to add, for anyone on the fence about Switzerland cycling- the cycling even in and around Zurich is terrific. Some great roads, surprisingly quiet and scenic. 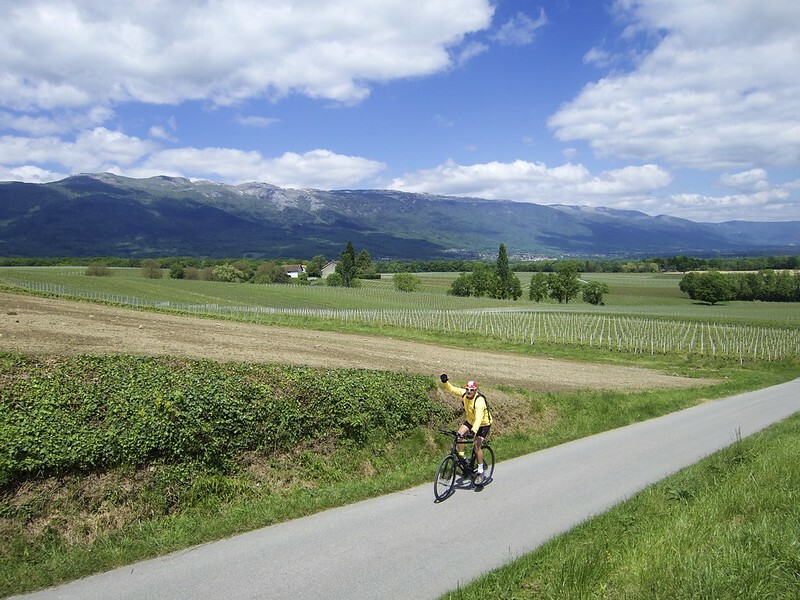 I live in Geneva, and you can get fantastic cycling in the Jura just 15 minutes outside the city centre with brilliant roads, steep inclines, little traffic and a stunning view of Mt Blanc on nice days. The problem with Geneva is that traffic is nightmarish in the whole canton. Roads are just too narrow, and there are just too many cars. Roundabouts and crossroads and things everywhere, and you end up having to put your foot down all the time. Even the special bike lane along the lake to Lausanne becomes (quite) dangerous when you have to cross Versoix or Morges, and to get to the quiet vineyard areas to Dardagny, you have to use roads that feel like motorways and are full of red lights. Sure, the Barillette is one “road to ride”, along with other Jurassian climbs. But the problem with riding in Switzerland, in general, as opposed to, say, the Massif Central in France, or somewhere in Central Spain, is the traffic density, which often does not allow to relax and have real fun. That’s why I recommend the Graubunden. Not only the climate is more peaceful, and the landscape more “Heidi-like”, so is the traffic. The Flüela, the Albula, or any climb over there. I also quite recommend the Alpe di Neggia, in the Tessin, overlooking the Lago Maggiore, with its very cracked tarmac… it really feels deliciously Italian. On the tarmac, I personally don’t enjoy the very smooth tarmac you usually find in Switzerland (or Austria). Smoothness and cycling are not concept that go together well, in my book. You have to feel the effort and the discomfort, otherwise it’s not cycling. When I travel, I actually enjoy the “taste” of each different type of tarmac, it really makes for a good deal of the experience. Regarding pro races, smooth tarmac is a big minus, it allows pelotons to climb faster, and tends to kill the race. That’s why stages with impressive profiles tend to disappoint, and get boring. I think the Tour de Suisse should compensate the “smoothness” factor, by loading the course much more. More kilometers and more climbing. It would scare people by seeing the profile, but when you get to pedal it, then you find it’s not so bad. The number and variety of complaints you cite is impressive- but if you truly have a problem with smooth, immaculate tarmac, then maybe Switzerland is really not for you 🙂 Traffic density would likely be a problem when cycling around any city of 250K+ people like Geneva or Lausanne, no? …I’d just add as a sidenote that I’ve been living in a number of cities which are well above 250K inh. and presented a lucky enough geographical situation to allow riding with no traffic in their *immediate* surroundings or even within the city area itself, irrespective of the general density of population of the country (that is, both in Italy and in Spain). I live in the Geneva canton at present, and have lived in other parts of the country. The thing with “Genève campagne” is that it’s a bit isolated from the rest of canton. I train over there anyway very often, when the weather is bad for the mountains, but I don’t like the peri-urban until I get there or coming back home tired. And it’s not so big an area. If you go too far in any direction, you end up in France. Hehe, that’s not so bad. I sometimes post jokingly on Strava rides labeled “seven country loop,” as it’s so easy to go from Switzerland to France to Switzerland to France, etc. on tiny, paved, unmanned border crossings. Great cycling in nearby France. Mont Salève: The Frankenstein monster climbed it in Mary Shelly’s book …. and there are five paved ways up for cyclist. Probably the most popular climb of Geneva cyclists. Living in New York City, I often read comments like this and wonder about the relative sensitivity to traffic and congestion. On my ride today, I pedaled at a good pace for an hour just to get out of New York City; even then, I was still on a fairly busy highway and it was quite a while before traffic thins out. The roads, as you might expect, can be quite bad. I’d love to ride in Switzerland some day. It looks incredibly beautiful. Exactly what I was thinking Eric. Having lived & ridden in London, Hong Kong, Singapore and recently moved to Brooklyn, Geneva sounds idyllic for riding! Out of all those I follow on Strava I’m constantly amazed at the photos posted by those riding in Switzerland – picture postcard shots on every single ride. Having never had the pleasure to visit it’s got me thinking that these must in fact be photoshopped. Surely Swiss photos don’t depict a real place at all – too perfect. I live here. It is wonderful wherever you go. Even areas around big cities are picturesque. Been there, could not find any big city. Happy for that! Descended the Umbrail last September in the cold and rain, kept anticipating the gravel, but it never came, so must have been paved. Beautiful ribbons of Tarmac the whole way down, just a shame I was frozen to the bone and couldn’t enjoy it as much as I should have. we also descended umbrail – but late last july – the road crews were out and the gravel section had already disappeared. pretty sweet loop to get back to prato side of stelvio. we also did that ‘trinity’ loop of which you typed (from andermat) – brutal loop – but crazy picturesque – nufenen actually had some less than perfect pavement on the descent towards the cobbled side of the gotthard (furka and gotthard so memorable that a little bumpy descending from nufenen was easily overlooked). the sunday stage this year (from davos) goes over albula from the west – super long climb but was the quietest climb i rode in switz. i havent ridden nearly as many great euro climbs as i’d like to – but switz is the first place i’d ever want to ride again. fun reading and reminiscing. Ufff, inrng, sorry to point out this detail… but forgetting to name Urs Zimmermann is nearly unforgivable, considering how much (deserved) love you’ve been showing for Moncoutié and the likes. Beat Breu gets an oblique reference, the link there takes you to some weird images of him and his records. Sure: I thought that Rominger (huge talent, indeed) was being left out because of the Ferrari links – but OTOH it’s not like Pascal Richard hasn’t ever been touched by doping troubles. There was no editorial judgement, just omission for Rominger. It all makes the list of Swiss riders longer. For a country with a mountainous image (there are many level valleys and a large area of flat plains) they have produced many excellent rouleurs: Urs Freuler, Daniel Gisiger… and six-day specialist Bruno Risi. Ah Zimmerman, one of those riders who would still frown when he won, at least that is what the images seem to show. And his choice of girlfriend. Thanks as always for the article. 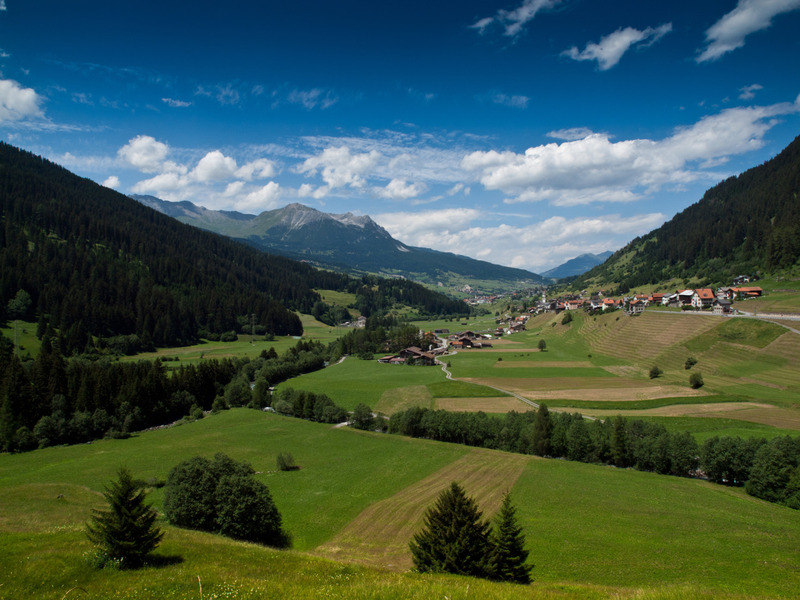 Switzerland is a cyclist’s dream – (agree a very expensive dream). 1. The extensive signed network of local and National routes is fantastic. And unlike many other countries, the National routes are very well signed. 2. I am not quite certain the difference between the swisstrails link you gave and this official site: http://www.veloland.ch/en/suisse-a-velo.html but at this link it is easy to see zoomable, good quality maps of every stage of the national, regional and local routes (site in French, Italian, German, and English). No Romansch! 3. There are three well signed national mountain bike routes. Two mountainous as hell – a secret great touring idea. Woohooo. I should have added that the cover photo on Daniel Friebe’s great book Mountain Higher is Grosse Scheidegg. And one of the greatest stage victories by Sagan (that same day was one of the last times Cunego could prove he had international-level climbing skills). Switzerland, yes! But only June, July and August. The Alps, from France to Slovenia, can be at their best in September and October if the weather’s good. Well, yeah, exactly IF the weather is good. That’s my whole point. Rode the Tremolo with my kids on a cycle tour and it’s still a lifetime highlight. Beautiful scenery, great weather, roads with gentle bends and friendly locals, including Thomas Frischknecht who joined us in the middle of his training ride to chat to the kids and encourage them. Well worth adding him to your list of historical riders above. I went there last year as a tourist. Should be really enjoyable for the bike riders as well. Before I became an unabashed Italo-phile I tried to “flirt” with Switzerland. Drop-dead gorgeous she was (and is) but she was a very expensive date, couldn’t cook worth-a-damn and just left me cold. It ended very quickly as my head was soon turned by that dark-haired beauty on the other side of those snow-capped mountains. I’ve been back a time or two since, but Svizzera still leaves me cold – though I can understand her appeal to some. You have to be kidding about the food. Kidding about the food? Certainly not. Can’t remember anywhere in the world outside of Svizzera seeing a “Swiss Restaurant” or listings for “Swiss Food” in any guide. …so it’s not just me. A couple of weeks following Tour de Suisse in the exact same way we followed La Corsa Rosa was proof enough for me….any time we were close enough to the border with Italy, we drove across to eat, even if our lodging was in Suisse. Jeder nach seinem Geschmack.. (each according to his taste)… My impression is that, in any canton in Switzerland, the average standard of restaurants, the quality of products, of the execution, are every bit as high than the average in Italy, France, or Spain. If you’ve had bad experiences, or you personally don’t appreciate Germanic or French-style flavours, it’s another thing. The problem here is value, it’s that it’s just too dear. “…you personally don’t appreciate Germanic or French-style flavours” is probably most accurate as I can remember ONE client who protested every time we crossed over the border to eat in Italy. 1 out of 15 or so as I recall. This same fellow was also very, very pleased with how clean and organized everything was compared to Italia. To each their own. Everywhere in the world you’ll find Swiss chocolate and cheese of highest standards, Züricher Gechnetzeltes, Bündnerfleich, Fondue, Rösti, Raclette and and and…..
Larry, to continue the metaphor, your dark-haired beauty may cook well, but she can’t balance the check book or do housework or get the kids to school on time… Also, my chilly gal is multilingual and, surprisingly, seems to cook better when she speaks French. Michael – you are correct. What’s the old saying? In heaven the cooks are Italian, the lovers French, the mechanics German, the police British and it’s all organized by the Swiss while hell brings you French mechanics, German police, British cooks, Swiss lovers and it’s all organized by the Italians. I haven’t heard that before. Absolutely hilarious. Had myself a good little chuckle. I have been living and riding in Switzerland for the past 16 years and can attest that everything INRNG and the other posters above say is true: it is a cycling paradise. The network of small paved roads is phenomenal. However, in the mountains some of the smaller roads get pretty beat up in winter, and a standard practice is to just dump a lot of gravel, making descending rather tricky. I would agree that the the Nufenen-Gotthard (Tremola)-Furka loop is a glorious ride, but there is another one nearby that is utterly spectacular: Grimsel-Furka-Susten. Plus the Jura mountains offer loads of quiet forest climbs, some as steep or steeper than anything in the Swiss Alps. When it comes to long and steep, however, it’s hard to beat Austria. They don’t seem to go in for switchbacks there very much. Wasn’t it Edmund Hillary who made the Everest comment? 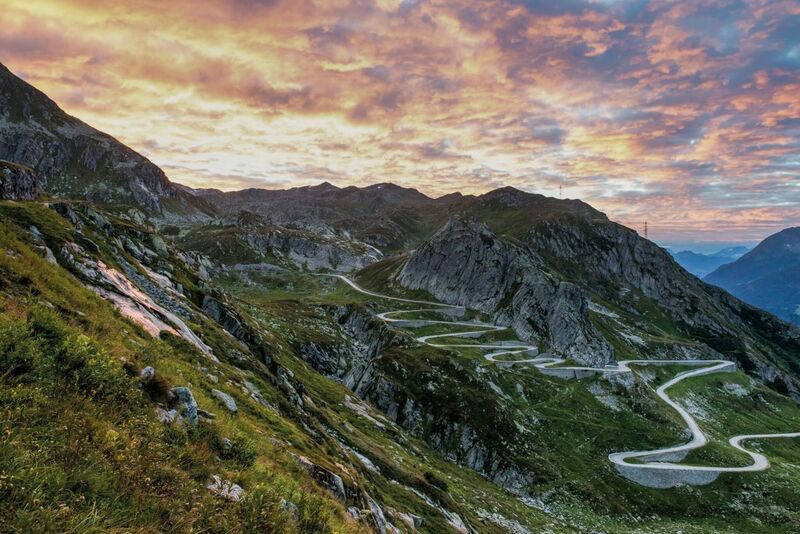 I can only agree – I’ve ridden Grimsel-Nufenen-Gotthard-Susten during the Alpenbrevet once, great cyclosportive, very well organized, and have spent some time training in the Swiss Jura with a friend who lives south of Basel. Gorgeous rides, good climbing, good roads and not that much traffic. I have this coming Friday morning for a ride out of Martigny. A suggestion for 3 hours to get the legs going, please? Saturday we’ll go over Grand St. Bernard to Aosta. 1. If wider tires then this back way to Lac d’Emosson is great: http://www.cycling-challenge.com/lac-demosson-via-vallee-du-trient/ (can also go the fully paved way via Col de la Forclaz). 2. Climb to Verbier but keep going higher to Croix de Cœur: http://www.cycling-challenge.com/la-croix-de-couer/ Fully paved recently. There are several great climbs around Martigny. I would recommend Col du Lein from nearby Saxon, with a short and smooth gravel section at the top. If you want to do more you can add Col des Planches from Sembrancher. The climb to Champex-Lac from Bovernier is also very nice, and less hard than Col du Lein. Avoid the climb to Verbier (2009 Tour stage finish) as you have to take a wide, boring and busy main road to get to Le Châble. This same road goes to Grand Saint Bernard, and it goes on like this until you reach the tunnel that swallows much of the traffic to Italy. From there it’s pure bliss. Enjoy! You have many options. Climbing up Verbier, climbing up Col de la Forclaz and descending to Chamonix or going up to Emosson dam, climbing up to Lac du Mauvosoin (sp.?). Thanks for your suggestions, greatly appreciated. I am a bit short for time, so most of your mouth watering suggestions are too far away. over Col des Planches to Sembrancher and zoom the main road down into town again. Any reason that I should do the Forclaz rather than the Planches? Planches seems like the smaller road, as seen from the city last year at least. Is the surface downhill to Sembrancher of inrng’s promised quality? Col des Planches is awesome, but quite steep. IAM pro Simon Pellaud lives half way up and you’ll understand why he’s a good climber if you go there. The tarmac on the descent is not super, but you will barely see a car on both sides of the col.
Forclaz is not as nice. Some good views on Martigny and the Rhone valley as you start climbing (https://www.instagram.com/p/BGUgg72tSWv/), but it’s a series of long straights and the traffic can be dense as it is the road to the French border and Chamonix. I would personally go for Col des Planches but you have to be reasonably fit and have small gears (34×28) to really enjoy it. Rather than Forclaz, I would do Champex-Lac out and back via Bovernier (not Orsières). It must be the same distance and is much, much better. I agree with Alain that the Col des Planches is not ideal for what you want. If I were going on a long climb like the GSB next day I would avoid a leg-buster like the Planches, particularly from the Martigny side. The day I did it I combined it with Lein and Champex having descended the Planches from the Sembrancher side. Alain is right that the Bovernier side is nicer but it is also steeper. It all depends on how hard you want to work on your leg opener ride. You can check out the profiles on cyclingcols.com, which is much better than climbybike imo. Thanks once again for your input. My Saturday will either be the boring bit of the GSB or the fun bit. I did the boring bit last year so ideally I’ll just do the final 6 km after the tunnel and the downhill to Aosta while my poor mate will have to drive the 7m long Mercedes Sprinter over the top. Downside to riding the fun part is that I have to prepare lunch for 16 guest riders. 34×29, 28 mm tubeless tyres, steady cruise VAM 750. I’m sort of in love with Planches. We’ll see what we end up doing. Only visited briefly but even near Zurich has some nice riding. A lap around the Zurichsee is quite pleasant; I also tried taking the train to Zug and rode the Ibereregg Pass, which is a seriously nasty climb. Can’t comment on Swiss road riding but some of the best mtbing I’ve done was in and around Switzerland’s border with France. The only thing I didn’t like was the fondness for fondue. But that’s probably a regional thing. 1. Does anyone want to join me? 2. How bad is the tunnel from Davos to the base of AlbulaPass? I wouldn’t do the tunnel. There is a path, probably gravel, available that follows the landwasser river though and probably worth trying out. Thanks. I’ll have to recon it with the car first. Problem is that public transport from there to Davos in not frequent. Did you know, you border-hopping cyclists, that one of Switzerland’s main defence strategies is to demolish every main access into the country via road, bridges and railways. There are at least 3000 locations ready to be blown at a moment’s notice in the event of an attack? And Larry, if you don’t like the food, did you know that you can lease a cow in Switzerland, and during your tenure, you can keep all the milk from the cow? We used to joke (long before GPS) when navigating around Switzerland, that they made the road signs confusing on purpose…so invaders would get confused and just say “the hell with it!” and go home. I still don’t understand signs on the motorway saying “Zurich 15o km” when Zurich is 15o kms THE OTHER WAY from the direction your are going. It’s a beautiful country visually, but for me it lacks the great food, friendly people, etc. of the Bella Paese, not to mention everything costs a queen’s ransom!! yes, i was in charge of that (blowing up the bridges). but this strategy is actually already a bit outdated. the unit i was part of was dissolved after 2000, dont know who is in charge now and how many bridges are still actively loaded. the tremola for sure has some “fabricated landslides” in petto as have many roads and bridges in the alpine zone. my grandfather was in charge of flooding zurich in ww2. crazy.